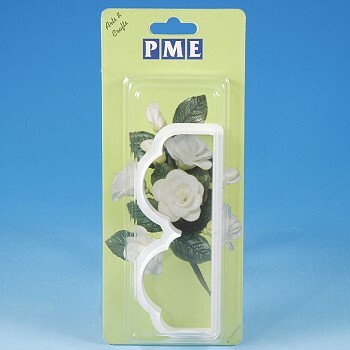 Create beautiful and delicate looking gum paste Drapes & Frills with this specially designed cutter. Once cut, frill the edges of the drape for a delicate look. 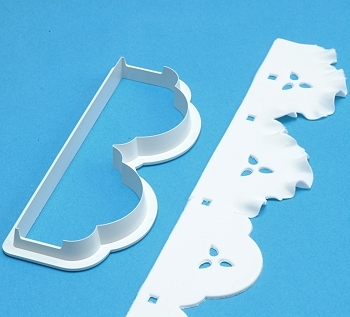 Accents patterns can be added with Eyelit Cutters and other embossing tools. Drape length 5", width 1 3/4"